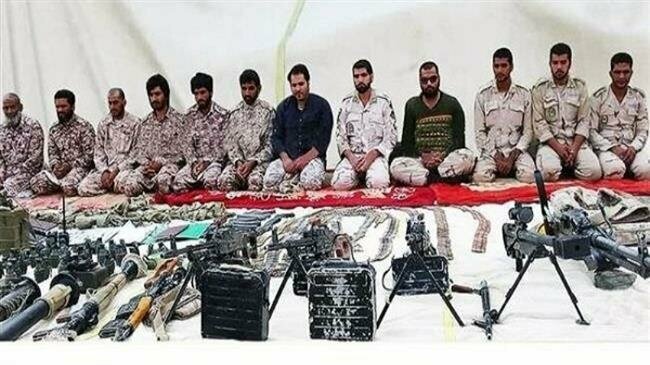 Four Iranian border guards, kidnapped in October by a Baluch insurgency faction, have returned to Tehran from Pakistan. The guards were released on Wednesday. They were welcomed in a ceremony by Revolutionary Guards commander Brig. Gen. Mohammad Pakpour. The men were among 12 troops taken by Jaish ul-Adl, which has carried out attacks and abductions since 2012 in Sistan-Baluchestan Province in southeastern Iran. They were seized at the Mirjaveh border point and taken into Pakistan. Iran pressed Pakistani authorities for action to obtain the guards’ released and criticized Islamabad for giving sanctuary to Jaish ul-Adl. The Pakistan military said on Thursday that it “rescued” the soldiers in Balochistan Province near the Afghan border. Jaish ul-Adl is suspected of the February 13 bombing of a bus in Sistan-Baluchestan, killing 27 Revolutionary Guards and wounding 13.